Qassemi said on Thursday the reports regarding Egypt’s withdrawal from being part of the Arab NATO, which were released by some news agencies, have yet to be confirmed by official sources, and there is no detailed information on their authenticity. He said Iran is verifying the authenticity of the reports, and if true, it welcomes the move by Cairo. “Egypt is one of the most important and powerful countries in the Arab and Muslim world, which can play an important role in establishing peace, stability and security in the West Asia region. Egypt can play an increasingly important role in the convergence and unity of the Muslim world if it realises the current critical situation,” Qassemi noted. “We hope that Egypt, as an undeniable power of the Arab world, will be able to fulfil its historic mission under the current circumstances of the region and the world,” he added in an interview with IRNA. 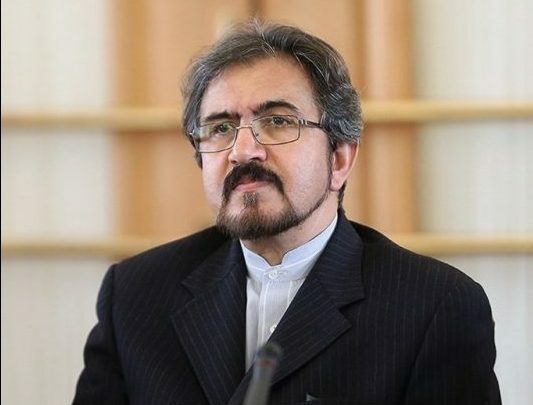 Qassemi emphasised that in such a situation, better relations will be established between Iran, Egypt and other regional states to confront terrorism, to provide security and stability, and to advance mutual understanding and multilateral cooperation. Today, it is not believed that it could be copied in the Arab world, even by localising the NATO, which itself was the result of certain historical events, he added. Reuters on Thursday cited an unidentified source as saying that Egypt conveyed its decision to the US and other participants in the proposed Middle East Security Alliance (MESA). The Arab NATO initiative first was proposed by Saudi Arabia in 2017 to allegedly limit the growing regional influence of Russia and China, but it seems to be mainly aimed at countering Iran.